In a large mixing bowl, mix together the pumpkin, apples milk and applesauce. In another bowl, combine the flour, brown sugar, baking powder, cinnamon, salt, nutmeg, ginger and cloves. Add wet ingredients to the dry ingredients and mix just until moistened. Fold in the beaten egg whites. 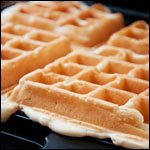 Pour enough batter to fill two-thirds of the waffle iron. Cook until crisp and golden brown. Set aside. Repeat with remaining batter. 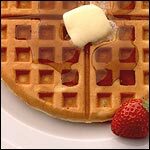 This recipe as submitted has gotten some comments that the waffles are sticking to people's waffle makers. For that reason, I recommend adding 3 Tablespoons melted butter to this recipe. Add the butter to the wet ingredients. Please let me know if you try it. 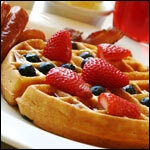 Before I remove a recipe, I hold out hope that our community of breakfast lovers can fix it first. 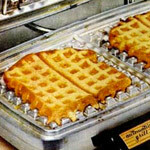 Note: You can keep waffles warm as you make more by placing them on a cookie sheet in an oven set to 225 degrees. 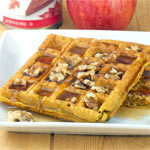 Pumpkin puree, shredded apple and apple sauce are used for the main flavors. Unfortunately, this recipe is in danger of being removed because of bad reviews. What would you do to fix it? Mr Breakfast would like to thank madamerkf for this recipe. 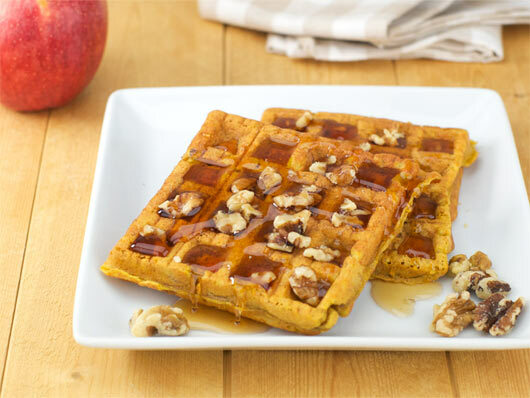 What do you think of Pumpkin Apple Waffles? 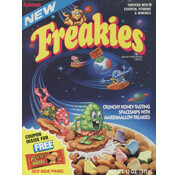 My kids loved them even though the waffles were mushy. The flavor was good. If I tried them again I would add less applesauce or no applesauce since there was an apple in there already and use 3 teaspoons of butter. I used 1/4 cup of wheat flour and 3/4 cup white flour and that helped as well. Yah, way too runny, no fat in recipe therefore it doesn't cook properly and sticks to the maker. Added 3/4 cup flour and 2 Tablespoons oil, still lousy. This recipes is no good. 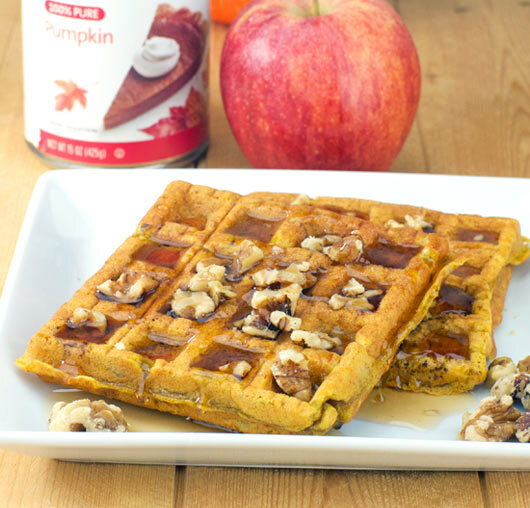 This recipe tastes good, however, it sticks to the waffle maker. I tried it with cooking spray and without. I had to peel them off the machine. Too bad.